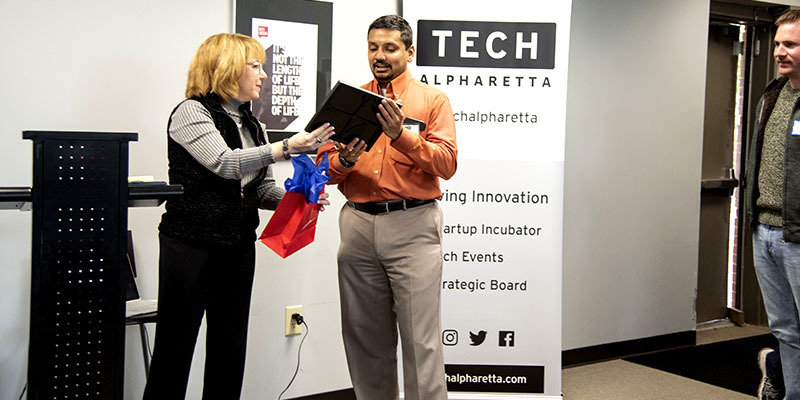 Alpharetta, Ga. (Dec. 12, 2018) – DataSeers has selected Alpharetta, GA, to be the location of its Global Headquarters. 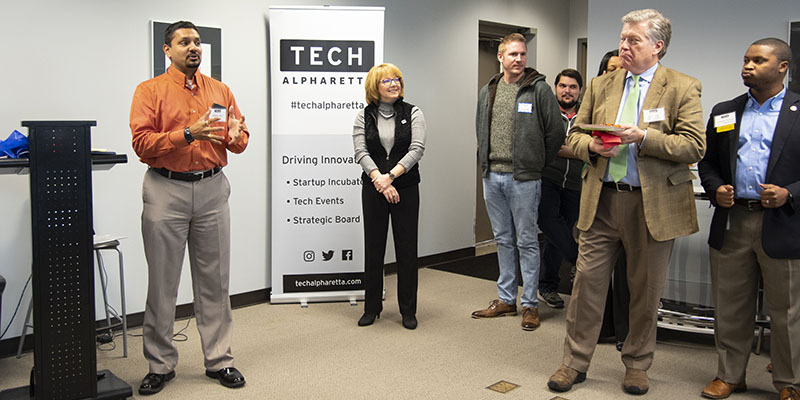 After an exciting year of growth and success, the company has now officially moved to its own new office space in the heart of Alpharetta’s Business District, Windward. “This is a big step for us. We are planning to add 10 more jobs in the first half of 2019,” says Adwait Joshi, founder and CEO of DataSeers. DataSeers provides back office solutions to banks and financial institutions to keep up with reconciliation, regulatory compliance, fraud, and drive better analytics through data. “We are taming the Data Demon and are heavily relying on AI and Machine Learning algorithms to pick up small details that would typically be difficult for a human to identify – thus helping to minimize human error,” adds Joshi. 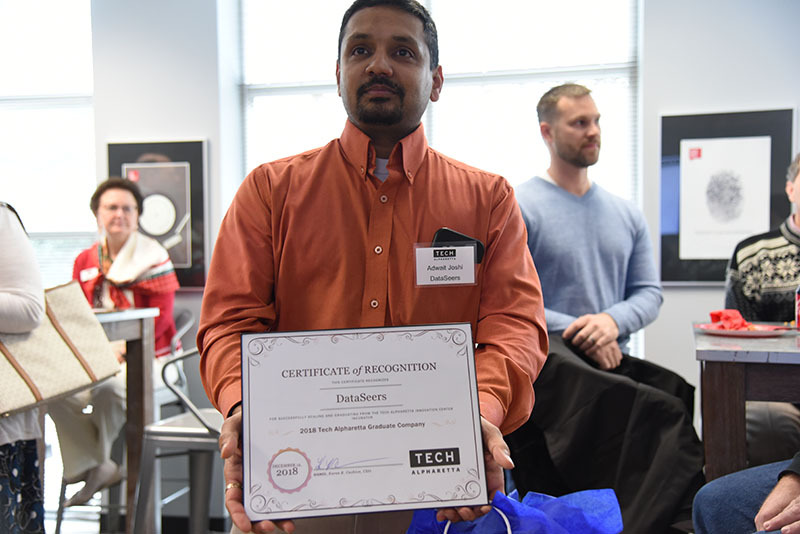 “Every beginning is difficult, but when you have the support you need and people who believe in you, it’s easier to beat the odds and overcome all the challenges ahead of you,” shared Joshi after DataSeers became the eighth graduate of Tech Alpharetta. 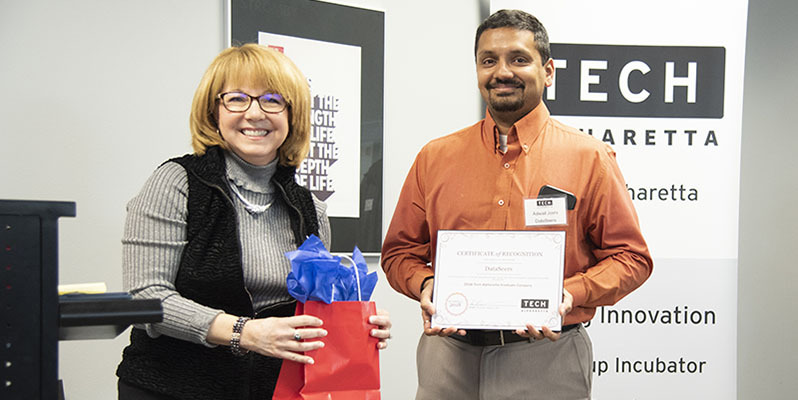 Local startups, established businesses, city representatives, venture capitalists, and fellow TA graduates gathered together to share in this proud moment with DataSeers. For more information on DataSeers, check out our showcase at www.DataSeers.ai/showcase.